Double weapon XP will be available, too. Get ready to gain some levels in Call of Duty: Black Ops 4 this weekend—double XP is coming to the franchise’s latest game. Double XP and double weapon XP will be available in Black Ops 4 multiplayer from Friday, Jan. 25 to Monday, Jan. 28. The double XP weekend will start and end at 12pm CT on those specific dates. Ready for some 2XP and 2X Weapon XP in Multiplayer this weekend in #BlackOps4? We are. This presents a great opportunity for any multiplayer fans to level up their account and prestige in Black Ops 4. 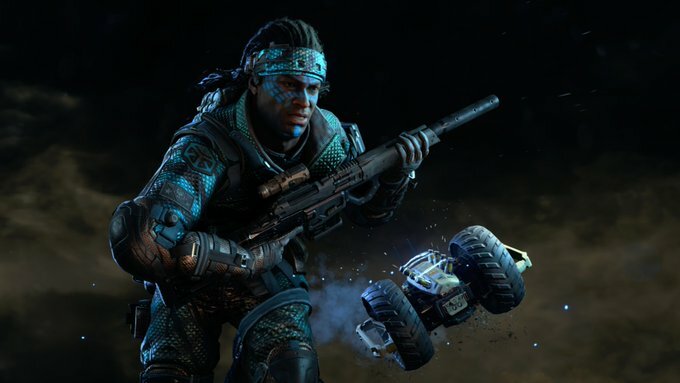 Also, if there’s a gun that you really want to try out but you haven’t because you haven’t leveled it up yet, the double weapon XP will help you quickly unlock essential attachments. Unfortunately for Zombies and Blackout fans, though, this double XP weekend only applies to Black Ops 4 multiplayer. Make sure to stock up on all the energy drinks and snacks that you need—this could turn into a long weekend of Call of Duty gameplay. The double XP weekend will officially begin tomorrow, Jan. 25 at 12pm CT.